will respond to your call. to emergencies, 24 hours/day, 7days/week. be forwarded to this office. In the event you have had recent chest xrays, or lab work, please let the office know prior to your visit. The physician will ask questions about your current problems as well as your past medical history. Give some thought before hand so that you will not omit important facts. Please bring all of your current medications or a listing of them, indicating the dose, frequency and prescribing doctor. When the examination and necessary tests are completed, the physician will discuss the problem with you and, if you desire, one of your family members. Consultation time also consists of obtaining and reviewing your past and present medical records, X-rays, appropriate laboratory tests, and reporting to your referring physician. The physician may request relevant tests to aid in diagnosing your problem. The office staff will assist in scheduling these tests. Testing performed outside of our office will be billed by those outside providers. Testing done within our office will appear on your statement. While Pulmonary/Critical Care is a subspecialty of Internal Medicine, we are not primary care providers, and all patients are encouraged to maintain a relationship with an Internist or Family Practitioner. Payment of your co-pay or deductible is required at the time of services. If your insurance cannot be verified,we will request payment at the time of your visit. For your convenience, we accept MasterCard, Visa, personal checks, money orders or cash. Respiratory Medical Group participates with most insurance plans and will file a claim for services on your behalf. In the event you have secondary insurance , we will do a one-time courtesy billing. However, we do not bill secondary insurances for co-pays. Routine visits will be scheduled one to two weeks in advance. Urgent appointments will be handled as soon as possible. 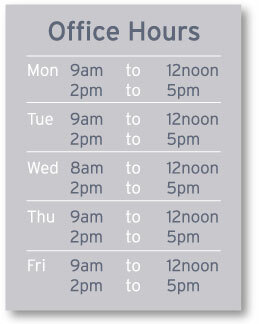 The receptionist will ask you specific questions to estimate the time required for your visit, and how soon your visit needs to be scheduled. Our physicians work by appointment only. Please assist us by being on time for your appointment. We will attempt to adhere to the schedule; however, because of the nature of Critical Care Medicine, emergencies may occur necessitating schedule delays or changes. If we are seriously delayed, we will make every effort to notify you prior to your arrival at the office. You may be offered a visit with a different physician or an alternate short-term appointment. If you cannot keep your appointment, please let us know as soon as possible. This courtesy, on your part, allows for scheduling another patient. Our office does not double book patients. Therefore we ask you to provide us with 48 business hours notice of cancellation.